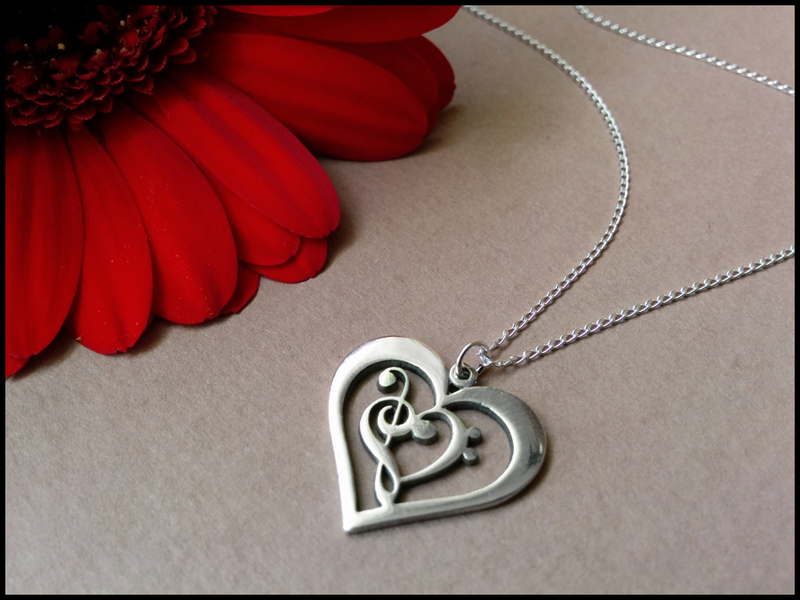 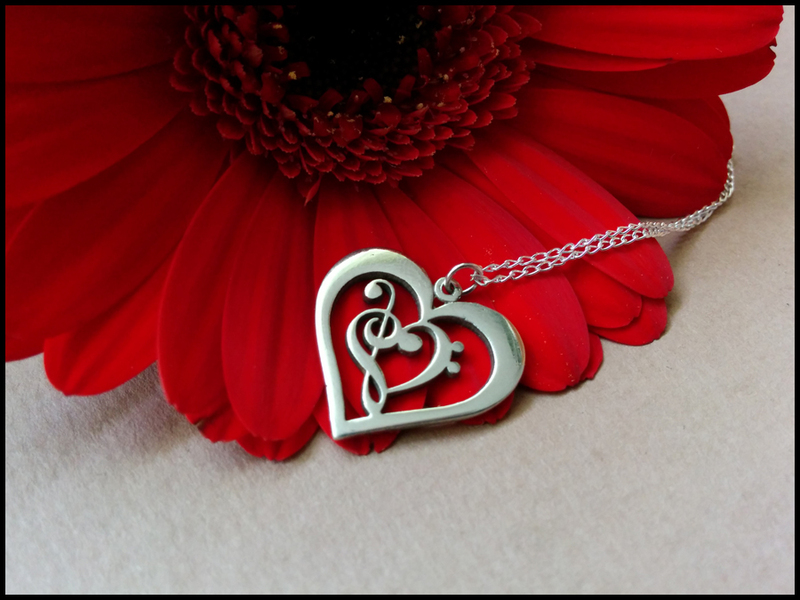 This is Treble & Bass Clef Heart Pendant. 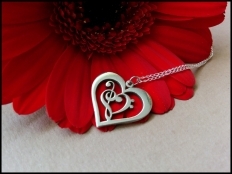 This pendant is a great gift for somebody who loves music or plays an instrument. 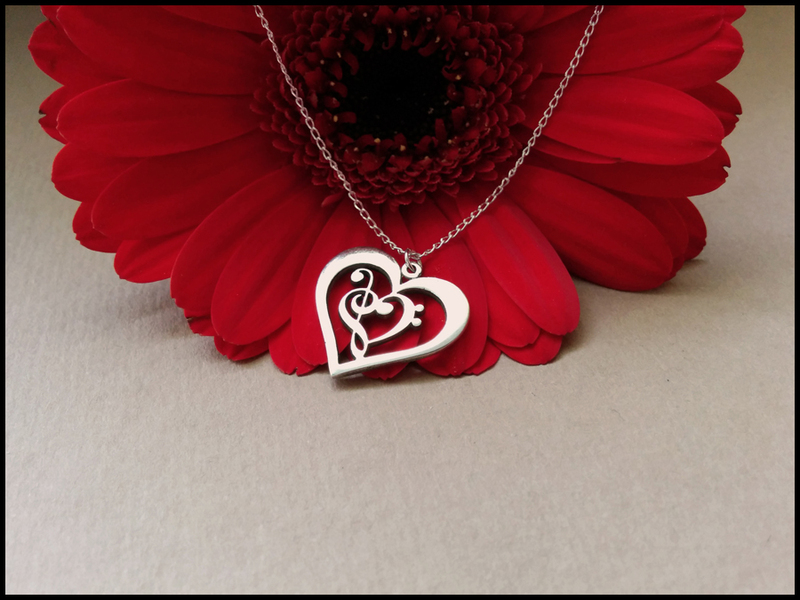 Made from 925 sterling silver. 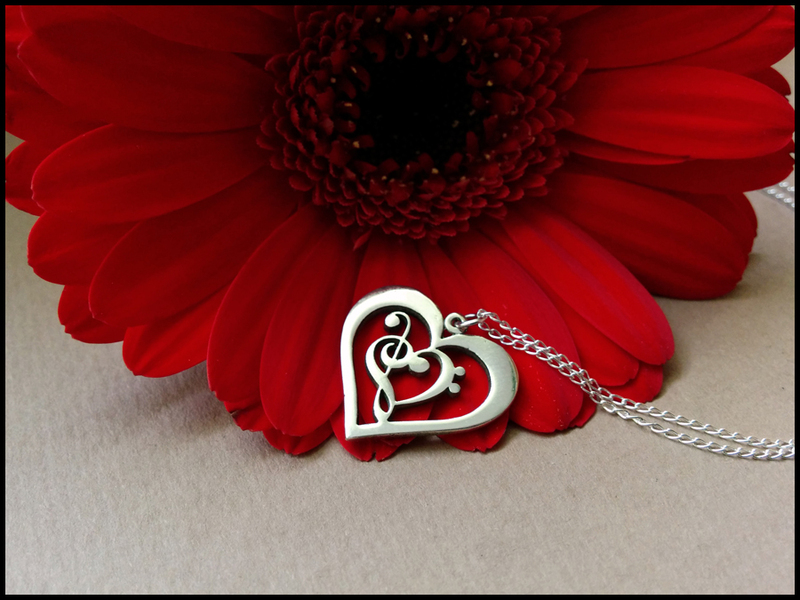 Comes with a chain that is 20 inches long.